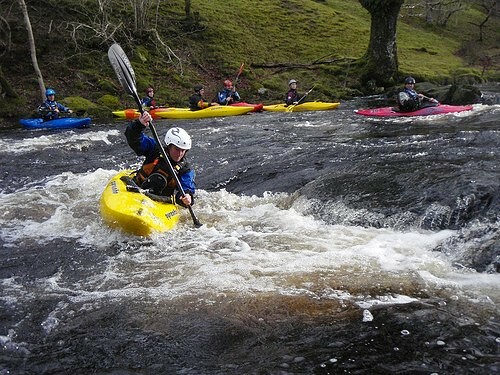 This two day course is aimed at intermediate paddlers who wish to take their paddling up a level. 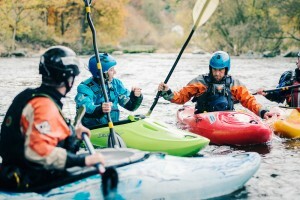 We will focus on ensuring the fundamental building blocks of your paddling are solid before looking at more complex techniques and tactics to make your paddling smooth and efficient. We’ll ensure you’re efficiently breaking in and out, ferry gliding and are able to read white water effectively (both from the bank and on-the-go). From there we can look at generating lateral momentum, dealing with stoppers, using the river features to help us get to where we want to be and much more. The content of the course will (as always) be determined by what those on the course want and need in order to be progress. One thing we can be sure of is that by the end of the course you’ll feel more controlled, consistent and confident on grade 2-3+ white water, and will have had fun in the process! Full course details, photos and Paypal payment option will be here soon. We’ve been too busy on the river, sorry! For now, please drop us an email for more info or complete the online booking form to get booked on.